Samsung has a new way to fight back against Apple and it has nothing to do with Google. 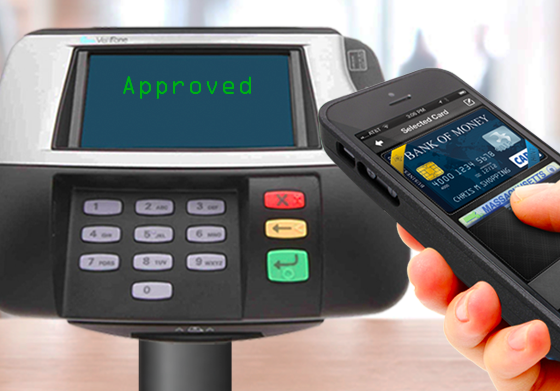 This week, Samsung bought LoopPay; a company that adds mobile payments to phones using a magnetic field. Early reports and rumors about Samsung’s Galaxy S6 handset — expected to debut on March 1 — suggested a LoopPay tie-in. Google may not like it, but the acquisition gives Samsung a digital payment solution of its own, although the company can certainly still offer [company]Google[/company] Wallet on its Android devices. Google’s Wallet, four years in the making, hasn’t really resounded with consumers though. I’ve been using the service on and off since 2011 with Android phones that have an NFC chip inside them but retailers have been slow to adopt or support Wallet. That’s in stark contrast to [company]Apple[/company] Pay, which is a successful twist on the same NFC technology. While LoopPay will work for now in the U.S. by spoofing the magnetic card stripe on current payment cards, Samsung will have to adopt it for the upcoming change in payments here. Samsung will need to create bank partnerships for EMV payments; essentially, we’re getting a payment card upgrade here later this year, which will require LoopPay to work with chip-and-PIN cards. LoopPay knew of this transition, so it’s not completely in the dark; we’ll see how it handles the change in a few months. Before then, we may have a new smartwatch or wearable device from Pebble. The company, which ran a hugely successful Kickstarter campaign in 2012 for its current smartwatch, is expected to announce something on Tuesday of this week. That’s based on a countdown timer that’s been busily ticking away since Thursday. While we have no idea what Pebble is counting down for, the company did say earlier this month that it would be launching new hardware this year, along with a unique software interface. Perhaps we’ll get a glimpse of a new watch this week; hopefully, it’s not just a new band for the existing Pebble. Even if Pebble does launch a new smartwatch, it’s going to compete with more Android Wear devices. The latest, LG’s Watch Urbane, hides its smarts in what looks like a very traditional analog timepiece. The stainless steel Urbane will be available in gold or silver finishes, uses the same 1.3-inch circular plastic OLED touchscreen display as the existing G Watch R and is aimed for the upscale smartwatch market.